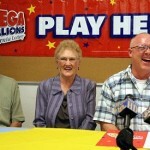 Life was far from ideal for Joe Denette who was a laid off from his job as a construction worker a couple of years ago. 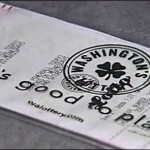 Everything changed in 2009 when he won a massive $75.6 million jackpot in the Virginia lottery and settled for the lump payment. Things picked up for him ever since, and money became only the icing on the cake because Joe married and his wife got pregnant despite the odds. Now he has a small fortune and a happy family, with the latter weighing heavier in the balance, at least if we are to believe what Mr. Denette has to say. 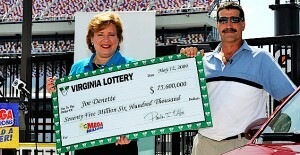 Playing the Virginia lottery in 2009 was the best thing that Joe Denette had done so far, as the small investment made him a millionaire. With financial issues out of the way, he could finally focus on the things that truly matter in life and his first move was also the most inspired one. He chose to marry Megan, a woman he knew for years and after fertility treatments she finally got pregnant. Much to the couple’s surprise, she had two babies that were delivered 100 days apart and both of them are healthy and growing fast. Megan has two more sons from a previous marriage, and the other son was adopted by Joe and now lives with his new family, while the other has moved to Japan with his father. For Joe, getting married and having kids seems to be the most important thing, as he never found the right moment to settle down when he was younger. Despite being married 30 years ago, he had no children and that’s why he wanted to fulfill his dream now when he has the resources to look after those close to him. Joe Denette was not always a meticulous and grounded person, but fortunately for him the years didn’t pass over him with no effect. He chose the lump amount because he was worried about what the future might bring and didn’t want to see the government stripping him of his money through new taxes. By doing so, the payoff was about $29 million, more than enough for him to fulfill his NASCAR dreams. He is now the part-owner of a team and attends the races alongside the people he used to watch and admire on TV, which is basically a dream come true. 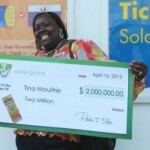 The lottery winner worked closely with a financial counselor to make sure that the money is not going to be wasted. 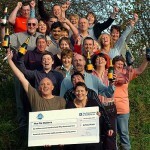 The investments have paid off so far and the annuity plans should ensure the fact that he and his family will never run out of money. Megan remains the same reasonable person and careful shopper, taking advantage of coupons whenever she has the chance. As for the children, they don’t miss anything but are not spoiled in any way either.